Brecon Beacons, Wales in the United Kingdom. A place where glasses fly across the room, faces are spotted in the windows, and visitors feel nooses around their necks; the Skirrid Inn is one of the most haunted sites in England. Standing in the dark shadow of the mountain it was named after, the Inn was once used as a Courtroom where serious criminals were given capital punishment. Judge Jeffreys, the Hanging Judge, presumably sentenced more than 180 criminals to death by hanging during the Welsh Revolt. The noose, which hung from an oak beam over the staircase, left markings that can still be seen today on the old wood. The Skirrid Inn is located in the small village of Llanfihangel Crucorney, and it claimed to be the oldest pub in Wales. It looks out onto the Skirrid Mountain to the east and the Black Mountains to the west. The Inn has a notorious reputation for being haunted by several resident ghosts who are habitually seen by visitors and patrons of the pub. It’s been featured on Extreme Ghost Stories and Most Haunted with Yvette Fielding and is regularly attended by paranormal investigators. Judge Jeffreys is still rumored to have been heard murmuring on the upper floors of the inn, looking for people to sentence to death. A victim of the noose, John Crowther, has been spotted several times by unassuming visitors, and the Hangman himself has been seen slowly moving through the darkest corners of the pub’s long halls. Room 3 is famously inhabited by Fanny Price, a gentle spirit of a woman who worked at the Inn during the 18th century. She died of consumption at the age of 35. A friendly ghost of Father Henry Vaughn, the local clergyman has also settled comfortably in the house. Visit the Inn, enjoy the cuisine and drink a pint or two. You can take part in the history of the pub while you dine, and revel in the vast beauty of the countryside with Skirrid Mountain walks. Iconic mountains, rich countryside, and ancient woodlands give mystery to the famous lands. 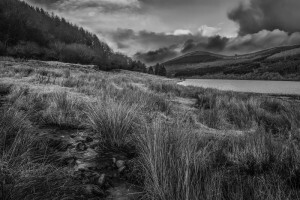 Take part in a guided walk through the Brecon Beacons Park during the day and marvel at South Wales’ highest mountain, Pen y Fan. This entry was posted on Wednesday, October 12th, 2016	at 1:36 pm	. You can follow any responses to this entry through the RSS 2.0	feed. Both comments and pings are currently closed.